The Church has once again put out a touching Christmas video – A Savior is Born. Take two minutes to watch it. It is well worth your time. 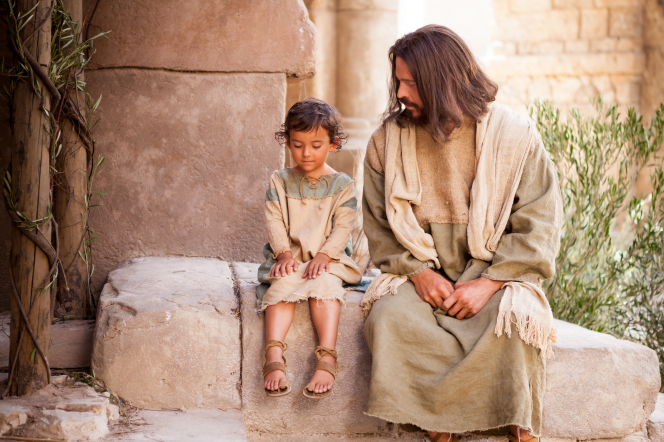 Though it is short, several children bear their witness that Jesus is the Christ and the Savior of the world. What a different world it would be if each child of God had such a knowledge. It reminded me of my oldest daughter when she was young girl of seven and preparing for baptism. It was important for me that my children had their own testimonies before they entered the waters of baptism. So I decided that year for family home evening (and if you’ve read my earlier posts, you know how much I love that night, yep it usually ended in tears) we would be focusing on how to gain a testimony. We started out about talking about the restoration of the gospel and Joseph Smith. At the end of that first evening, I invited my seven and five year old daughters to pray each day to ask to know if Joseph Smith was truly a prophet of God. All was well in good for about two minutes. Our girls were tucked in and put to bed that night. They were eager to say their personal prayers and we left them to it. Several minutes later, our five year old comes down and tells us that she had the warmest feeling in her heart as she prayed and she knew Joseph Smith was a prophet. Score one for mom and dad. But before we could high-five each other and congratulate ourselves for our excellent parenting skills, our oldest daughter came to us in tears. She had received no such confirmation and was more than distraught about it. It wasn’t that we expected for either girl to get an answer that night, but we had definitely not planned on this causing emotional turmoil. It did give us the opportunity to explain that answers don’t always come right away, in fact they rarely do, but that answers do come. We tried to comfort our daughter and encouraged her to pray each night until her answer came. Well, let’s say we had quite a few nights of tears. Finally, my daughter asked if I would pray with her. I was more than happy to. We knelt down and I was given one of most treasured memories as I witnessed my daughter ask the Lord in her tender little voice to answer her prayer. To know for herself if Joseph Smith was truly a prophet. The Spirit was so strong and, then and there, it witnessed to both of us, that yes Joseph was indeed a prophet. She knew it and I knew she knew it. That night there were tears, but they were tears of joy. That moment for her was fixed in her mind and in her heart. She has been able to share that witness time and time again as she has served the people of Indiana for these past almost eighteen months. Can we give our children a better gift than to gain a testimony for themselves and then help it to flourish and grow? It may come quickly or it may take time, but the most important thing is that it comes. In today’s world we need our children, like those in the video, to be able to stand boldly and claim that Jesus is our Savior and that yes, the gospel has been restored. I love the sweet trusting innocence of youth in the story you shared. It touched me when I read how the Spirit revealed truth to both of you at once as you prayed. Testimony truly is one of the best gifts we can be given.